Western Power Distribution is the headline sponsor of the Wilne 10k again for 2019’s event. Find out more about Western Power Distribution at www.westernpower.co.uk. Western Power Distribution is the electricity distributor for the Midlands, South West England and South Wales. They deliver electricity around the clock to homes and businesses in the area (almost 8 million customers) by maintaining and upgrading the electricity infrastructure – pylons, poles, cables and substations. The Derby Runner is a specialist running store based in Spondon and catering for all levels of running, ranging from jogging for fitness to series marathon running; from track and field athletics to fell running. As Wilne 10k’s official retail partner, the Derby Runner will have a stall in the Race Village. In conjunction with Mizuno, the Derby Runner is kindly contributing to this year’s winners’ prize structure. Mizuno are supporting our race prizes in partnership with The Derby Runner. Andra Health is a nutrition, physiotherapy and pilates service based in Melbourne, South Derbyshire. Helping you to not only recover from injury, but to live lift to the fullest. The team will be providing pre and post-race sports massage on race day. Speedy (Hire) Plc is a leading provider of equipment and support services to construction, manufacturing, industrial, rail and related industries. The local depot can be found at Pentagon Island in Derby. Wilne 10k is grateful to Speedy Hire for providing support to the event. 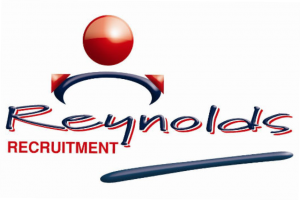 Reynolds Recruitment is your local recruitment provider based in Attenborough, which supports both businesses and job seekers with their employment requirements. Its reputation is built on supporting its members through training and job opportunities, which has allowed them to work alongside local businesses assisting with fluctuating staffing levels, and helping to increase productivity. Many thanks to Reynolds for their ongoing support of the event. East Midlands Airport connects over 4.2 million passengers with the world, serving more than 90 destinations. Winner of many prestigious awards including the World’s Leading Eco Friendly Airport and voted Best Regional Airport at the British Travel Award in 2010, East Midlands airport is a vibrant economic hub, supporting over 6,000 jobs and generating around £300 million for the region. Wilne 10k is grateful for the sponsorship provided to support the volunteers at the event. The Wolf Hut serves Wholesome Original Lean Food from a really cool van! The Wolf Hut will be in the Race Village on race day providing healthy meals to runners and spectators. Wilsons Pharmacy at 43 Station Road, Draycott, are your local provider of an extensive range of services including all the traditional services you would expect of a pharmacy. You can obtain your prescription medications as well as hundreds of over-the-counter medications. Many thanks to Jane and her team for kindly donating gifts for the race prize structure. If your business is interested in sponsoring or advertising opportunities with the Wilne 10k, please contact us. As part of our commitment to support local running, the Wilne 10k is proud to support Wilne Runners.